CANTON, Mass. 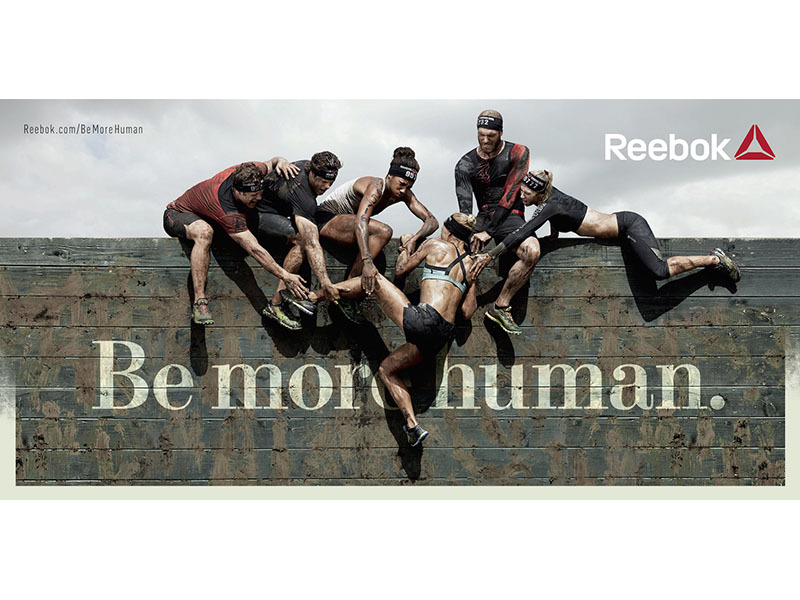 – January 28, 2015 – Today, Reebok issued a bold challenge to the world to "Be More Human" with its new, fully-integrated marketing campaign, continuing the global fitness brand's mission to change how people perceive and experience fitness. "Be More Human" goes beyond a campaign or a tagline; it's a rally cry to live up to your full potential. This unique point of view is embodied in the brand's new symbol, the Reebok Delta. The three sides represent the physical, mental and social change that comes through living a fitness lifestyle. In our hyper technology-driven world, Reebok celebrates everyday people who have reconnected to a rugged physicality that allows them to live much bigger, fuller and less self-focused lives. For these individuals fitness isn't just a physical activity – it's something that enhances not only their body, but their entire life. Through fitness they become better parents, better leaders, better teachers, better partners and overall a better, stronger version of themselves. "Reebok believes that by pushing ourselves to the brink and testing our limitations, we have the power to transform ourselves not only physically but also mentally and socially", said Matt O'Toole, Reebok Brand President. "By adopting such a lifestyle, you find yourself in a community of people, joined together by a common purpose – to be better versions of themselves. We're confident that when we push ourselves, we not only transform our bodies, we transform our entire lives." The brand film titled "Freak Show", available at www.reebok.com/bemorehuman​ acknowledges that tough fitness is a lifestyle not always understood. Its methods are intense, demanding and require real commitment. "Freak Show" is a celebration of those who have chosen to be more than they thought they could be through fitness. It is a challenge to those yet to be converted to Be More Human. Courageous and cinematic, "Freak Show" is a story with captivating intensity that showcases everyday athletes embodying what it truly means to "Be More Human" as they meet and tackle different fitness challenges transforming them to be better leaders, better parents and more capable humans. Directed by AG Rojas in partnership with Venables Bell & Partners,the 60 second TV spot juxtaposes the merits of tough fitness and how it benefits humans in their everyday lives – this includes a young mother crushing a new workout routine and how a firefighter uses the mental toughness gained from a night trail run in his demanding day job. Yan Martin, Vice President of Global Brand Communications at Reebok, says, "There's a new breed of athlete. 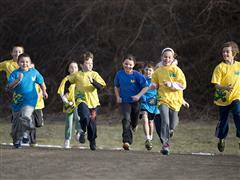 These are everyday people, and these athletes should also be regarded as role models. For these individuals, the achievement comes from the realization that they are transforming their lives through fitness, and in the process they're transforming the lives of their communities. We acknowledge and salute these new athletes who challenge themselves daily in search of greater rewards." The world's first test that quantifies one's 'humanness' by ranking users against various human attributes specifically social, mental and physical traits – designed to trigger conversation about the choices we make with regard to health and physical activity. Participants complete a short online quiz composed of a number of multiple-choice questions, from which the answers are used to generate a personalized Human Score. An interactive 3D visualizer that dynamically shows how various physical activities, from excess sleeping to tackling a demanding obstacle course race, stimulate key nodes of the brain - in particular neurotransmitters (emotion and cognitive action), the cerebellum (smooth mental and physical movement), the corpus striatum (TBC), the hippocampus (memory) and the frontal cortex (executive functioning). As users interact with the visualizer, in-depth research on the relationship between physicality and brain stimulation from Dr. John Ratey, one of the world's foremost authorities on the brain-fitness connection, is revealed. Challenges the notion of what beauty is by encouraging fitness enthusiasts to rebel against the shiny, happy selfie by posting images to the "Be More Human Experience" of themselves at their most depleted, raw, broken post-workout state. The rebellious social campaign will feature Reebok athletes and employees, with outstanding submissions rewarded with a #breakyourselfie photo essay depicting the story of the individual or group of friends. The "Be More Human" campaign will officially kick-off with a TV advertisement on NBC on February 1, 2015.